Tom Dunleavy has a one-man law firm in America's wealthiest resort town: legendary East Hampton. But his job barely keeps him in paper clips. His clients make a living serving the rich. The billionaires and celebrities swarming the beaches already have lawyers on their payroll. Syd, a breathtakingly beautiful supermodel on a photo shoot in Hawaii, disappears. 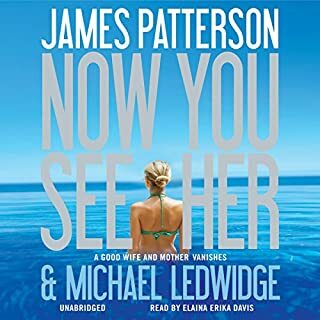 Fearing the worst, her parents travel to Hawaii to investigate for themselves, never expecting the horror that awaits them...A heart-pounding story of fear and desire, Swimsuit transports listeners to a chilling new territory where the collision of beauty and murder transforms paradise into a hell of unspeakable horrors. Paris is stunning in the summer. The killing is simply marvelous. Kanon's daughter, Kimmy, and her boyfriend were murdered while on vacation in Rome. Since then, young couples in Paris, Copenhagen, Frankfurt, and Stockholm have been found dead. 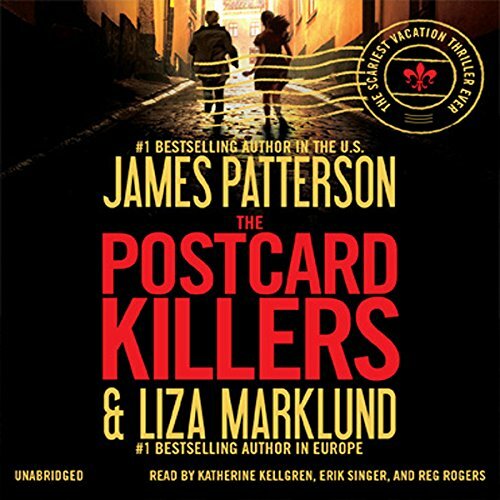 Little connects the murders other than a postcard to the local newspaper that precedes each new victim. This book was a real disappointment. The ending was telegraphed about two thirds of the way through the book and, while it had an interesting twist, the writing provided little support for the story. Worst of all, the characters were cardboard representations of conventional stereotypes--particularly the hero, who was depicted as the typical hostile, aggressive but highly competent NYC cop. The villian (or villians--don't want to spoil the plot) had no real motivation at all, at least none that rang true. So, this novel filled up about 9 hours (part listened to as an audiobook, part read as an eBook at bedtime along the way) of dead time on a long driving trip, thus serving its primary purpose. Beyond that, however, it has little redeeming literary or social importance. 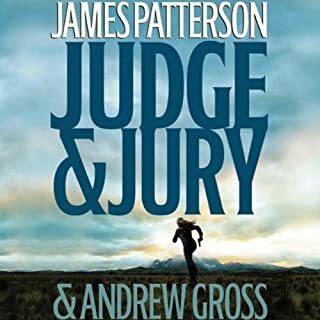 If reading co-authored James Patterson novels, I think I'll stick to the ones co-authored by either Maxine Paetro or Michael Ledgewick. Another abridged, unabridged book that was OK. There seems to be a pattern forming with some of the popular authors. They are getting unabridged prices for books that should really be sold as abridged. I also agree that Patterson does better by himself. At first I was upset that there are three readers, each reading a couple sections but I got over it and decided that it is, what it is. So many "chapters" are so short they seem like they are only a couple paragraphs long. With that being said, overall I enjoyed the book. It was fairly predictable but then what isn't. Clive Cussler's newest book is being released in a couple days, so maybe he'll have a totally entertaining book that isn't so predictable. The basic motive for the villan(s) doesn't become apparent until about 3/4 of the way through the book. I sound negative but am glad I downloaded and "read" it. 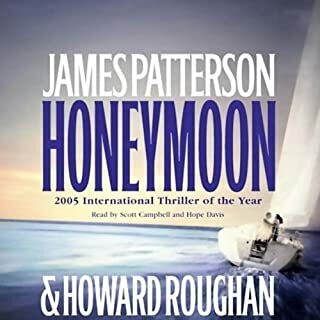 I am a huge James Patterson fan. I have read every book he wrote by himself. However, every book I have bought that he wrote with someone else has been a huge disappointment. This was no exception. I've said it before but I will NEVER buy another book he writes with anyone else, they are NOT his books. A total waste of my money. I could not even finish it got about 2/3 of the way through and thought my time would be better spent on listening to something interesting. I only wish it was a little bit longer. However, I do not think Patterson and Marklund can make another book for this story, which is sad because the story is great. the Swedish reporter angle is distracting... it almost reads like Patterson had some"Girl w/ the Dragon Tattoo" envy. 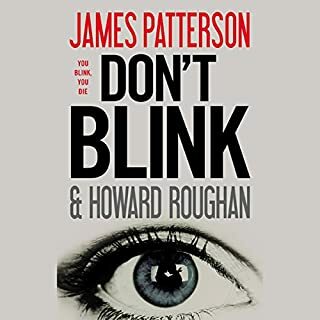 This is my first Patterson novel so maybe there's a formula I'm just not aware of. I just started this book and am already not impressed. It just jumped right into the story with no background or set up at all. I hope it all comes together soon. I felt as if I was right there with the characters it was a very interesting story and the narration gave faces to tht characters. This was a great book that kept me interested til the end! 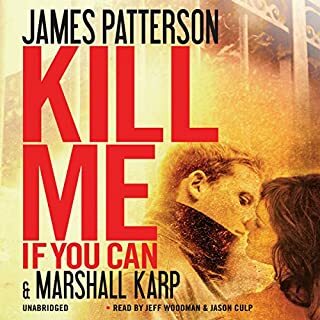 I will be looking forward to another James Patterson book soon!